Dr. Eva Harris is a Professor in the Division of Infectious Diseases and Vaccinology in the School of Public Health, Director of the Center for Global Public Health, and Chair of the Infectious Diseases and Immunity Graduate Group at the University of California, Berkeley. She has developed multidisciplinary approaches to study the virology, pathogenesis, immunology, epidemiology, clinical aspects, and control of dengue, Zika, and chikungunya, the most prevalent mosquito-borne viral diseases in humans. Specifially, her work addresses immune correlates of protection and pathogenesis, viral and host factors that modulate disease severity, and virus replication and evolution, using in vitro approaches, animal models, and research involving human populations. This has been achieved through her research program at UC Berkeley and in Nicaragua, where she has worked extensively in close collaboration with the Ministry of Health for 30 years. Ongoing projects include clinical and biological studies of severe disease, a pediatric cohort study of dengue, Zika, chikungunya, and influenza transmission in Managua, several studies of Zika in pregnant women, and a recently-concluded cluster-randomized controlled trial of evidence-based, community-derived interventions for prevention of dengue via control of its mosquito vector. In 1997, she received a MacArthur Award for work over the previous ten years developing programs to build scientific capacity in developing countries to address public health and infectious disease issues. 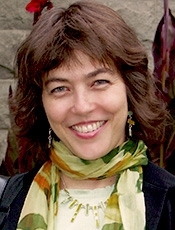 This enabled her to found a non-profit organization in 1998, Sustainable Sciences Institute (SSI; www.sustainablesciences.org), with offices in San Francisco, Nicaragua, and Egypt, which works to improve public health in developing countries by building local capacity for scientific research on priority diseases. Dr. Harris was named a Pew Scholar for her work on dengue pathogenesis. She received a national recognition award from the Minister of Health of Nicaragua for her contribution to scientific development and was selected as a “Global Leader for Tomorrow” by the World Economic Forum. She has published over 245 peer-reviewed articles, as well as a book on her international scientific work.